Facebook Like And Comment add like/recommend button, also send button, and optionally use facebook comment instead of wordpress comment for your wordpress site. Each post or page will has Like/Recommend button bellow post content. When visitor click on this button, the specified image will be shown on visitor’s facebook wall, the title of the post and its excerpt. 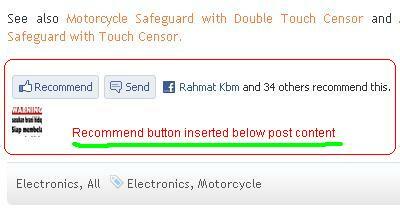 If you want, you may use facebook comment instead of standard wordpress comment. Original WordPress comments will be replaced by Facebook comments. Every time a new facebook comment added, you will be notified through admin email. 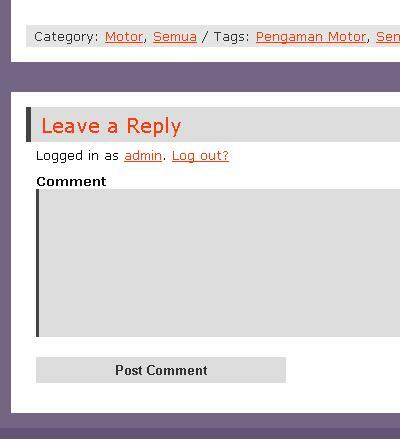 So you can soon approve or ban the comment. The facebook comment is actually an iframe. So, search engine will not crawl the comment inside it. To evercome this, the plugin will read it and cache it, then include it inside each post behind the facebook comment, so search engine will crawl it but will not affect the appearance. This is for the SEO sake.